The Xperia XZ2 is Sony’s flagship offering for 2018, giving consumers a slightly different take on the otherwise highly similar flagship space. Noteworthy is that it’s available at a much lower price than the original offering of P44,000, making it a very desirable top-of-the-line device. Featuring class-leading ultra-slow-motion video capture, phenomenal speakers, and Qualcomm’s latest and greatest Snapdragon 845 SoC. While the rest of the smartphone market has embraced the flat design aesthetic, with a bezel-less look, Sony opts not to conform, going with its own style direction. Initially I was disappointed, but as I started using it, it grew on me. The slightly curved rear felt comfortable to hold, and the highly polished all black look feels quite premium. The placement of the buttons is great, with the power button being easily reachable however the device is held. The top edge houses the dual SIM and micro-SD tray, while the lower edge has a USB type C port. There is no 3.5mm headphone jack, but a USB to headphone converter is included in the box. In terms of ergonomics, it’s one of the best devices I’ve used recently; it feels comfy when held, is easy to use. My only negative was that the device had a tendency to slide when placed at a mild slant. Say one of the edges was raised because of being on a notebook, the XZ2 would gradually slide off. It’s also thicker and heavier than competitors at 11.1mm and 6.98oz respectively. Hardware buttons are absent, being replaced by the usual three Android navigation buttons onscreen. When viewing full-screen content, they slide off the screen and can be brought back up when required. The back button is placed on the left, which is perfect for someone coming from a device with the similar layout. The amount of vibration during typing feels just right; muted and sophisticated. The lock screen has a seconds needle around the time, which is both useful and elegant. In keeping with 2018 flagship expectations, the Xperia XZ2 uses the blisteringly fast Qualcomm Snapdragon 845, and 4GB of memory. The user experience was super snappy, and the fastest I’ve experienced on a mobile phone. Benchmark data available online, as well as other reviews point to the Xperia XZ2 being the speed king, even compared to other current gen flagship Snapdragon 845 devices. Though not a big mobile gamer, I fired up “Modern Combat 5” and “NFS: No Limits”, and they played flawlessly. The device comes with Android Oreo (8.0), with a minimalist overlay by Sony, giving users a near-stock Android experience. Onboard storage is 64GB, of which the system takes 14GB (23%). The default home screen has a water splash animation, which is pretty cool. The included weather app when first configured used my location to go down to the barangay level, which was shockingly impressive. For those eagerly awaiting the upgrade to Android P, Sony has already made available its Beta 2 of Android P for XZ2 users. In terms of the display, the XZ2 has a 5.7 inch IPS panel, coupled with Sony’s Triluminos technology. The final result is gorgeous, with color saturation and detail being excellent. Be it sampling media, or looking through the pictures taken on the camera, expect vibrant lively results. Resolution is capped to full HD, or 1080p while competing devices like the Samsung Galaxy S9 feature a 1440p resolution. Sony argues that the improvement in resolution is minimal, while the corresponding impact on battery life not worthwhile; I’d have to agree. The included battery has a capacity of 3180 mAh and lasts well over a day with regular use. Even driving the device hard, be it recording video continuously for 40 minutes, or playing a game for 2 hours with a connected Bluetooth controller, the battery barely dipped by 20%. Thanks to fast charging, it gains around 55% going from zero in just 30 minutes, with a full charge taking under two hours. Thermals are well under control, with the device only mildly heating up at the lower half when taxed continuously. The XZ2 houses a 19-megapixel rear camera, and a 5-megapixel front camera. Both are pretty competent, with results from the rear camera being quite good. It usually takes a split-second to focus, but the results were always impressive, detail and colors being top notch. The camera also featured subject-tracking similar to DSLR cameras, which was a notable feat. Though not very useful to me, there’s a predictive capture feature that takes images a split second before clicking and after, allowing for selection of the best image. Also included is a bundled Bokeh app, for taking pictures with a controllable Bokeh effect. On the video recording front, the device is capable of both HDR, as well as 4K video recording. Also featured is Ultra-slow-motion video recording, with Sony’s implementation being the market leader. There are YouTube videos that compare this feature against other current flagship devices, and the XZ2 comes out on top. I tried it myself with fast-moving traffic and found the results pretty cool. Though the initial release price of P44,000 was quite aggressive, as market leaders Samsung price their flagships Galaxy devices at P45,000, at the time of writing, I found several online and retail sellers listing the Xperia XZ2 at between P31,000 and P35,000. At that price, it’s an outstanding buy. • Fingerprint Scanner: Conveniently placed on the rear, making for an easy smart unlocking experience; place your finger on the scanner, and the device authenticates the user and wakes the device for use. • Haptic Feedback: A sort of vibration that is meant to make the experience more real, be it music, movies, or games. Personally, I didn’t care for it much. • IP 68: Water and Dust Resistance. • Screen Mirroring: DLNA and Wireless Screen Share for compatible entertainment devices. • Dual Speakers: The most immersive speaker experience on a mobile phone to date. Place the device directly in front of your face, and the sound surrounds the listener. Frequency response is excellent, with clear notes, crisp highs and lows, and a well bodied warm sound. Just place it on your desk and let it play, and it easily destroys several dedicated portable speaker units. If you’ve read the entire review, you’ll realize that the seemingly unpopular Xperia XZ2 has a lot going for it. In addition to the top of the line specs and a very capable camera, it features several best-in-class implementations, not to mention several added features. And if you’re an audiophile, you will be blown away by the speakers on this device. Given all that and the low price its available at, the Xperia XZ2 is possibly the most competent flagship device for your money. 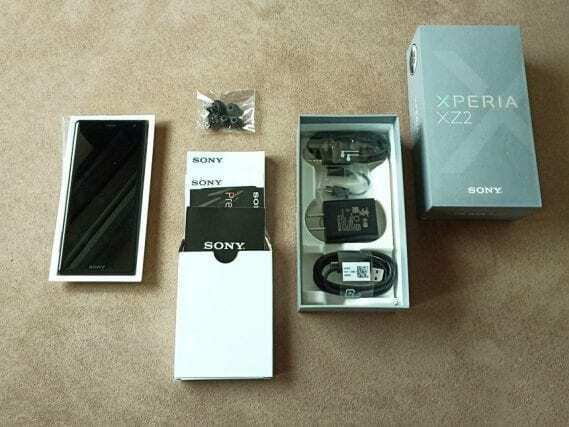 Verdict – A premium Sony device, with many bests, at a comparatively low price.